We’d love your help. Let us know what’s wrong with this preview of O Cego de Sevilha by Robert Wilson. É semana santa em Sevilha. Um empresário de renome é encontrado atado, amordaçado e morto em frente da sua televisão. As feridas auto-infligidas deixam perceber a luta que travou para evitar o horror das imagens que foi forçado a ver. Quando confrontado com esta macabra cena, o habitualmente desapaixonado detective de homicídios Javier Falcón sente um medo inexplicável. To ask other readers questions about O Cego de Sevilha, please sign up. Reading this book made me want to visit Seville to experience the crowds that drift from cafe to cafe well into the early morning hours. It was easy to feel bad for the protagonist, Falcon, as he sank into a "miserable PI" role while others embraced what they had in life. I loved Wilson's description of the setting and the people in it; I did not care as much for the book's mystery or its antagonist. 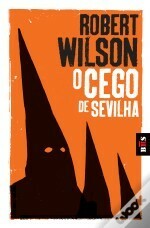 I got the sense that Wilson combined his sentiments about Seville with some some intriguing Spanish Civil War-era history and then wrapped up the works in a flimsy, artificial mystery plot that adds little to the story other than dead bodies and forced philosophical asides. "What does a person fear more than anything?" Good question, that, too bad we don't get to an interesting possible answer. Also unfortunate is the fact that Falcon devolves from a competent, cool operator and to a strung-out mess because this transition is convenient to the plot. For that matter, Falcon doesn't even "solve" his case so much as reach the end of the tale concurrent with the reader. A seemingly interesting story line which gets lost in a maze and emerges into very little - occasional good use of language spoilt by over complicated construction and, in the end, unbelievable plot. A Sunday Times recommendation gone wrong. The story grows more interesting and compelling as one gets into it. Robert Wilson uses A crime novel set in Spain. About halfway through I began to wonder if this was going to be a book that went beyond the average whodunit, and might say something significant about the human condition, perhaps a 21st century version of Crime and punishment. They quote from Albert Camus's novel The outsider. It is an irony not lost on me that here we are in Tangier, captives of the International Zone of Morocco, in the cockpit of Africa, where a new kind of society is being created. A society in which there are no codes. The ruling committee of naturally suspicious European countries has created a permissible chaos in which a new grade of humanity is emerging. One that does not adhere to the usual laws of community but seeks only to satisfy the demands of self. The untaxed unruled business affairs of the International Zone are played out in its society's shunning of any form of morality. We are a microcosm of the future of the modern world, a culture in a Petri dish in the laboratory of human growth. Nobody will say, 'Oh, Tangier, those were the days,' because we will all be in our own Tangier. That is what we have been fighting like dogs for, all over the world, for the last four decades. Unfortunately he goes and spoils it all on the very next page by using the word "parameters" in a way in which no one would have used it in 1952. Well, perhaps they might have used it in Spanish, though not in English. It is too late even to think about that. The cord suspending disbelief is broken and it comes crashing to the ground. No, Dostoevsky it isn't, but it's still an above-average whodunit. How do you rate a book that's a tad too long but a well-written too long? I felt BMoS was long for a murder mystery and the pacing was...off. Consider that the first eight chapters in the book, roughly 20% of the book, comprised a single day. Don't get me wrong, the writing was good but the story definitely lagged in some spots. I suppose Wilson was trying to flesh out his character but I felt he sacrificed the tension/buildup. There were several times where meaningless details that didn't add b How do you rate a book that's a tad too long but a well-written too long? I felt BMoS was long for a murder mystery and the pacing was...off. Consider that the first eight chapters in the book, roughly 20% of the book, comprised a single day. Don't get me wrong, the writing was good but the story definitely lagged in some spots. I suppose Wilson was trying to flesh out his character but I felt he sacrificed the tension/buildup. There were several times where meaningless details that didn't add bubkus to the story dragged the story down:his interactions/stalking of his ex-wife, his anxiety, his battle with insomnia, panic attacks at seeing the Virgin Mary, his search for a psychologist. And possibly most odd of all, despite being in the middle of the most horrific case of his career and embroiled in a personal crisis, he finds the time to reenroll in an English class and take time out for a bullfight?!?!? I began to wonder if this was a murder mystery or a memoir. In fact, I count the passages of his father's journals more interesting than the murder itself. And either procedural doctrines are very lax in Spain, or Falcon is a terrible detective. I'm not talking about his drug/alcohol use while on the job, I'm talking about him bringing a key piece of evidence, fragile and not easily recoverable evidence, to a suspect's home?!?!? Very good . Nice change of locale and style. Always refreshing to find new and exciting authors . Will continue with the series . En primer lugar, destacar que no es el típico thriller. En esta novela Robert Wilson nos describe a Javier Falcón, un detective que trabaja en Sevilla, en plena semana santa, investigando el brutal asesinato de un restaurador, al que le han sacado los ojos mientras le obligaban a ver un video que sin duda no quería ver. Pero aparte del crimen en sí mismo, y de todas las complejidades que de él se derivan, nos encontramos con la propia angustia del personaje protagonista. El detective no sólo ten En primer lugar, destacar que no es el típico thriller. En esta novela Robert Wilson nos describe a Javier Falcón, un detective que trabaja en Sevilla, en plena semana santa, investigando el brutal asesinato de un restaurador, al que le han sacado los ojos mientras le obligaban a ver un video que sin duda no quería ver. Pero aparte del crimen en sí mismo, y de todas las complejidades que de él se derivan, nos encontramos con la propia angustia del personaje protagonista. El detective no sólo tendrá que lidiar con la investigación. Tendrá que lidiar (Y ese verbo, hablando de Sevilla, creo que es bastante apropiado) también con los fantasmas de su propio pasado, especialmente con la relación con su padre fallecido, del que descubrirá que tenía secretos inconfesables que ahora vienen a atormentar a su propio hijo. Todo ello aderezado con un relato bastante crudo, pero en el que destaca la magnífica escritura del autor, que convierte una novela poco agradable en una lectura más que recomendable. Las descripciones de la ciudad son bastante realistas. También entiendo que el protagonista pueda llegar a despertar pocas simpatías entre los lectores, ya que se trata, sin duda, de un personaje muy complejo, con reacciones y comportamientos muy alejados del típico héroe al uso. En ese sentido, es quizás una novela demasiado introspectiva, lo que en mi caso me ayudó a identificarme más con la persona que con su trabajo de investigador. Sin duda, seguiré los pasos del autor y del detective Falcón en su siguiente entrega, “Condenados al silencio”. Robert Wilson’s intricate noir thriller ‘The Blind Man of Seville’ constantly reminded me of the classic detective novels of the 1940’s with their subtle complexities, solid storylines and in-depth characters. This is not the sort of read you can expect to finish in a few sittings. Its phrases and protagonists incite a need to bite deep into the scenes author Wilson creates, to taste the flavours of Seville in the early twenty-first century and Tangier in the ‘fifties, along with the fino and ta Robert Wilson’s intricate noir thriller ‘The Blind Man of Seville’ constantly reminded me of the classic detective novels of the 1940’s with their subtle complexities, solid storylines and in-depth characters. This is not the sort of read you can expect to finish in a few sittings. Its phrases and protagonists incite a need to bite deep into the scenes author Wilson creates, to taste the flavours of Seville in the early twenty-first century and Tangier in the ‘fifties, along with the fino and tapas that form an important part of his detective’s diet. Rather than being just a police procedural, as we follow Homicide Chief Javier Falcón’s investigation of a particularly gruesome murder, we will quickly discover the tale is more about solving the mystery in the detective’s mind. The lagoons in his memory, consequences of the strife and trauma that underscores his hidden history, impose a challenging profundity to the tale. They do, in fact, assume greater importance than the police investigation, as the bodies start to pile up and a highly original serial killer closes the distance to the murder investigator. The novel evidences an enormous amount of research and a familiarity with places and themes that permeate every page, kudos to Wilson’s skill as a writer. This is an outstanding novel I thoroughly recommend. there r many unanswered questions abut the crime - which r answered in the next novel. concentrate on the foreign names! Totally Unputtable thriller, a bit too dark, a bit too long, but overall quit enjoyable in a way the good thrillers are. The author is the master of creating the atmosphere of the place. In this novel it is Modern Sevile and Spanish morocco straight after the war. It attempts to deal with quite profound themes like courage facing unknowns in your past and taking responsibility for your actions, but I more enjoyed it on the level of the plot and atmosphere. It is my second novel by this 3.5 stars. Bom... o que dizer deste livro? Gostei bastante mas nao tanto como "O Ultimo acto em Lx". Acho que o livro é muito extenso, apesar de estar mto bem escrito. A inclusao dos diarios do pai pelo meio da trama está mto bem conseguida. I got into the reading of this book, especially because I live in Seville. I think that Wilson tries to pack too much information about the city in a superficial way. Naming streets and celebrations without getting in depth. Nonetheless I found it engaging and somber. It's not an uplifting book. I have mix feelings with this book, since I couldn't stop reading it but I can't say I "enjoyed" it. Por pouco não levava só duas estrelas... Apesar de estar bem escrito e da história ser interessante, acho que tem maldade a mais, achei muito sórdido, daí que me custe dizer que gostei... Continuo à espera de gostar tanto doutro livro deste autor como do "Ultimo Acto em Lisboa". Um bom policial/thriller. Violento, a 2 ritmos, já que o autor tem de recuar no tempo algumas vezes para construir história de modo à personagem principal poder juntar as peças. Absorvente. This is the first of four books about Chief Inspector Javier Falcon. Given the psychological breakdown that he experiences, one would expect that this would be the last book about him. However, the author who is English and divides his time between England, Spain and Portugal has other ideas as he combines elements of a psychological thriller with an historical novel told through a journal by the inspector’s artist father. Neither the father nor the son are characters with whom one can easily id This is the first of four books about Chief Inspector Javier Falcon. Given the psychological breakdown that he experiences, one would expect that this would be the last book about him. However, the author who is English and divides his time between England, Spain and Portugal has other ideas as he combines elements of a psychological thriller with an historical novel told through a journal by the inspector’s artist father. Neither the father nor the son are characters with whom one can easily identify. The father was in the Spanish Legion, fighting on the side of Franco, as well as in Morocco and Russia. Besides revealing much to Falcon about his own past, the father’s diary is an important element in the hideous crime Falcon and his men are investigating. Hovering between being a novel and a mystery, this book raises the question of whether there is a new sub-genre of the mystery. A detective’s romance or identity crisis interferes with the pacing of the traditional mystery. Combining all these elements not only makes for a long book, but can test one’s involvement in this particular format. One does get a sense of the physical Seville, the heat, the crowds, the cafes with their late dinners and coffee and drink available at all hours. One can even smell the air. The other aspect that comes through with great clarity is the corruption on all levels of government and the power of the Russian Mafia. Philosophical questions are raised about the nature of art and the nature of war, but the resolution of the crimes (there are additional gruesome murders) seems to take secondary place to the inspector’s angst. "O Cego de Sevilha" é um bom livro. Boa história, com bastante suspense, bem escrito, com uma excelente exploração das personagens (nomeadamente da personagem principal, Javier Falcón). A forma como a história é contada agarra o leitor, sem dúvida, e fá-lo ter vontade de ir virando página atrás de página. I wanted to like it and parts of it were extremely good however there were also a few plot twists that just seemed a step too far. Lovely writing style and some great characterisations. I would certainly try another by this author. His style of writing is completely different when he writes about Africa in his Bruce Medway series. I like this story because it was so believable in that all the acts of violence were real in there telling. a nice dark series - finally got to enjoy this. A contemplative thriller (oxymoronic I know) that evokes life in Seville - the author did overindulge occasionally on the descriptions, but you could almost smell the fiesta in the air, the rain that splatters off the cobbled streets. This being the first book in a series, the story is more a character study of the protagonist - Javier Falcón, newly transferred chief inspector, offspring of one of the most famous Spanish artists in recent memory. He's very put together as a per A contemplative thriller (oxymoronic I know) that evokes life in Seville - the author did overindulge occasionally on the descriptions, but you could almost smell the fiesta in the air, the rain that splatters off the cobbled streets. This being the first book in a series, the story is more a character study of the protagonist - Javier Falcón, newly transferred chief inspector, offspring of one of the most famous Spanish artists in recent memory. He's very put together as a person, or his façade suggested so, until a gruesome murder slowly revealed itself to be closer to home, and thus began the unravelling. I'm more of a mystery fan so the homicide cases and the final reveal proved disappointing to me - the villain was in my opinion a generic placeholder that I couldn't be bothered with. The victims, too, proved mere props rather than centrepieces, and such a setup felt like betrayal to the adage 'the victim is as important as the culprit'. This was faulty logic from my part, because I was looking at them as homicide cases, rather than as plot devices to reveal Falcón's discovery of himself. But because I held expectations even after having read Wilson before, I couldn't like it more than I would like to, despite the writer's skill. And this feeling of being impressed yet let down, I get it every time I finished one of his books. True to Wilson style, this does not fall under the usual crime story bracket; this is a character portrait of Falcón's dad masquerading as Falcón's crime investigations. Wilson's creation, the 'artist' Francisco Falcón, was fascinating and thorough. The semi-philosophical anecdotes on artistry and genius, when combined with knowledge of the person that was Francisco Falcón, made up for the meandering storytelling. Whether or not Javier Falcón turns out to be a connoisseur of crime, an artist like his father before him, remains to be seen. This is my second book by Wilson, and as with the first, set in Lisbon, this one is set - well, it's pretty obvious from the title. In January I visit both places so I'm gathering information from all sorts of sources, including fiction. This one is one volume in a series of novels about the same detective (finished 3 days ago and already forgetting his name. While it's not a guide to the city, I think I know it a bit better than before I read it (which was nothing except the location of my hotel This is my second book by Wilson, and as with the first, set in Lisbon, this one is set - well, it's pretty obvious from the title. In January I visit both places so I'm gathering information from all sorts of sources, including fiction. This one is one volume in a series of novels about the same detective (finished 3 days ago and already forgetting his name. While it's not a guide to the city, I think I know it a bit better than before I read it (which was nothing except the location of my hotel). So that's a good thing. But I still have a problem with the author. He writes well except at times when he really forces similes or metaphors, and as with the Lisbon book he alternates between past and present - in this one he makes use of diaries written by the father of the protagonist, from the days of the Spanish Civil War through the 1960s, interspersing them between segments that feature the protagonist in 2005 (approx) trying to solve a series of really gory murders. I won't say anything more about the plot. The novel goes well beyond the typical mystery book, as it's more about the increasing angst of our hero. But while I was intrigued by the concept I felt distinctly underwhelmed, as I didn't come to care enough about any of the characters to buy into the psychological aspect of the book. This book was a complex, multilayered story that intertwined a murder investigation in 2001 with the lead detective's discovery of his past. On a technical note, the entries Javier Falcon reads from his father's journal are all written in italics, and when you have pages of them to read, it becomes annoying. They're all labeled as journal excerpts, so I don't see the need for italics. This book painted two unfamiliar worlds for me: Seville in 2001 and Tangier in the 40s-60s. These exotic settings This book was a complex, multilayered story that intertwined a murder investigation in 2001 with the lead detective's discovery of his past. On a technical note, the entries Javier Falcon reads from his father's journal are all written in italics, and when you have pages of them to read, it becomes annoying. They're all labeled as journal excerpts, so I don't see the need for italics. This book painted two unfamiliar worlds for me: Seville in 2001 and Tangier in the 40s-60s. These exotic settings kept my attention, even though they slowed down my reading, because my brain insisted on trying to sound out all the names and titles in my not-so-fresh high school Spanish. The names and titles were sometimes confusing. I kept getting Ramon and Raul mixed up, and when a man is referred to as R in the journals, I wasn't sure at first which one it was. This may be my favorite book of the year. It's early yet, and I'd be ever so glad if challengers arise just for the sheer joy of having another book this good to read. And I'm somewhat surprised. I had read the starting book in his first series, 'Instruments of Darkness,' and found it to be a middling read: enjoyable but with weakness. 'The Blind Man of Seville' displays nothing but complete mastery of craft. I found this to be a brilliant read. No misstep to mar the reading experience. The charac This may be my favorite book of the year. It's early yet, and I'd be ever so glad if challengers arise just for the sheer joy of having another book this good to read. The characters are fully formed, the settings vivid, the plot riveting and the methodology intriguing. I was particularly taken with the complexity of the characters. These are men and women with complex lives and in the process of change. They are spectacularly alive. Well, until they aren't. A highlight for me were the journals of the detectives father. Initially of historical interest, their increasing relevance to the case heightened their impact. I am eager to start the next in the series. Recommends it for: Anyone with a strong stomach! “The Blind Man of Seville” is a well written, competent thriller that almost reaches greatness but never quite gets there. The book has two flaws. The first is Javier Falcon, the protagonist. 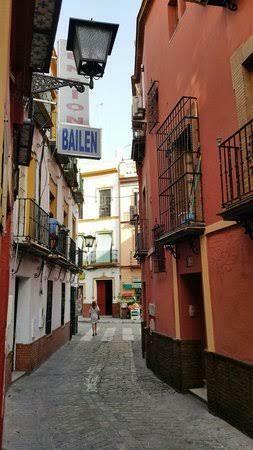 Hes a homicide cop in Seville, a quiet, stoic man, always in control and emotionless in his job. This all changes when he reaches the scene of a horrific homicide and looks at the disfigured face of the tortured victim, Raul Jimenez, an elderly man who was tied and forced to watch something so horrible to h “The Blind Man of Seville” is a well written, competent thriller that almost reaches greatness but never quite gets there. The book has two flaws. The first is Javier Falcon, the protagonist. 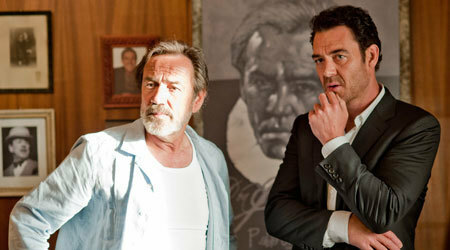 He´s a homicide cop in Seville, a quiet, stoic man, always in control and emotionless in his job. This all changes when he reaches the scene of a horrific homicide and looks at the disfigured face of the tortured victim, Raul Jimenez, an elderly man who was tied and forced to watch something so horrible to his psyche that his body could not endure the shock. Something about this scene touches Falcon, shakes his inner self, destroys his world and the worst of all is that he doesn't even understand why he suddenly feels this way! When he discovers the diaries of his late father, a famous painter and sees that he was a former associate of Jimenez in Tangier after WW2, Falcon must accept that he is connected to this homicide and delve into his father´s past life to find the truth about himself and what is happening in the present. The problem is that Javier Falcon is never really very likable or able to achieve much sympathy from the reader. When he is “himself” he is cold and detached, even dry and dare I say, dull and uninteresting. There´s a subplot about his failed marriage that´s never really developed past being a tool to show he´s afraid of intimacy. Another subplot deals with Raul Jimenez´s trophy wife that underneath her “mask” is smart and ruthless and there´s an attraction between her and Falcon with a bit of suspicion going on between the flirting but all of a sudden the writer just completely forgets about the whole thing and nothing ever comes of it. There´s a bit about his sister and brother but again Falcon is always distant and cold and when a character shows up, a young bull fighter to whom Falcon is a sort of spiritual guide nothing is again developed apart from the writer spending a line saying Falcon really liked the kid instead of showing some sort of friendship between them to humanize him. Instead of that we get page after page of Falcon´s mental breakdown in painful detail. From his anxiety and stress, to bouts of panic and problems sleeping and all that cheery stuff! For pages and pages, almost whole chapters of it. Wilson really goes all out, so much that in the end, Falcon is just a complete wreck and just a broken and sad man on the verge of insanity. This is constantly hammered in, instead of developing the character past being a heartless, detached cop with anxiety attacks! Falcon´s afflictions even taint the investigation part of the story. He´s in front of the investigation but is hardly focused or even mildly competent in his job. He spends his days trying to figure out if he´s going insane while trying to hide it from everyone else. Quite frankly he´s a really lousy cop and botches the investigation badly from the start. Even Falcon himself is aware of that! The other flaw in the book is Robert Wilson´s writing style. He´s a bit pretentious, far too “wordy” and his sense of pace could use some improvement! The book drags in many places, especially at the start and sometimes nothing much seems to happen for lots of pages, except Falcon having one of his tantrums or reviewing the case with his team in which besides Ramirez, the second in command and a caricature of a sexist pig so extreme its almost laughable, none of its members has any personality besides a name on the page. The plot is almost too complicated to the point of being just convoluted, relying on coincidences and almost desperate in its effort to shock. Yes, shock. The amount of depravity and evil depicted here is staggering. Every character is despicable or should I say, every male character, except Javier Falcon, is loathsome, sordid and abhorrent. After a while I could almost picture the characters with an evil laugh while twirling their mustaches! After a while it just loses its impact. Still, Robert Wilson pulls it off. If you stick with it, the book does provide you with some thought provoking moments and a highly compelling character that is never actually in the book. I'm talking about Javier´s father, Francisco Falcon. As Javier reads his diaries we go through his most inner thoughts, through his life in the Foreign Legion, the fighting in the Spanish civil war, in WW2, the atrocities, the pain and suffering and the sordid life of Tangier with its forbidden pleasures. Its a fascinating journey and the book´s main asset. We get to know this man, far better than Javier, even bond with him, in his struggles as an artist, father and husband and we see as his personality changes over time, as his urges take over, the depravity, hate, in essence life, shapes him into the man behind “the mask” of the famous painter. Its fascinating and here, in the diaries excerpts, Robert Wilson really shines in his writing. Its a triumph and I would say the book is worth if only for these pages. 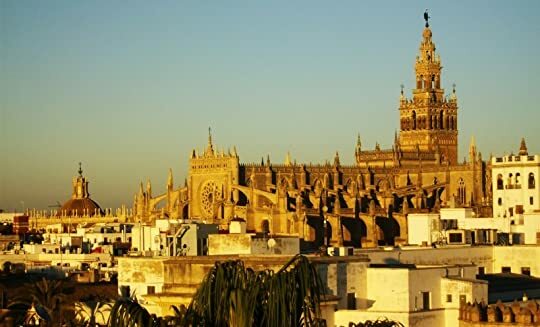 Seville is also wonderfully brought to life, the city itself a character and a pleasure to experience through Wilson´s glorious descriptions.